Back in 2012, archaeologists found ancient chocolate residue on a plate, rather than a cup. 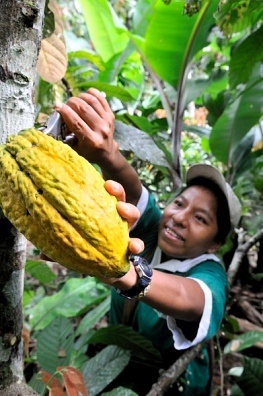 Experts have long thought cacao beans and pods were mainly used in pre-Hispanic cultures as a beverage, made either by crushing the beans and mixing them with liquids or fermenting the pulp that surrounds the beans in the pod. Such a drink was believed to have been reserved for the elite. But the discovery announced 2 years ago by Mexico’s National Institute of Anthropology and History expands the envelope of how chocolate may have been used in ancient Mexico. It would also suggest that there may be ancient roots for traditional dishes eaten in today’s Mexico, such as mole, the chocolate-based sauce often served with meats. The traces of chemical substances considered “markers” for chocolate were found on fragments of plates uncovered at the Paso del Macho archaeological site in Yucatan in 2001. The fragments were later subjected to tests with the help of experts at Millsaps College in Jackson, Mississippi, as part of a joint project. The tests revealed a “ratio of theobromine and caffeine compounds that provide a strong indicator of cacao usage”, according to a statement by the university. “These are certainly interesting results,” John Henderson, a Cornell University professor of Anthropology and one of the foremost experts on ancient chocolate, said. Prof Henderson, who was not involved in the Paso del Macho project, said “the presence of cacao residues on plates is even more interesting … the important thing is that it was on flat serving vessels and so presented or served in some other way than as a beverage”. 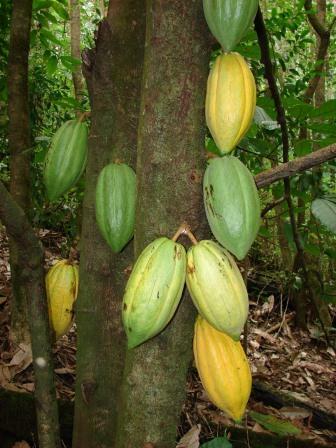 “I think their inference that cacao was being used in a sauce is likely correct, though I can imagine other possibilities,” he added, citing possibilities like “addition to a beverage (cacao-based or other) as a condiment or garnish”. The plate fragments date to about 500 BC and are not the oldest chocolate traces found in Mexico. Beverage vessels found in excavations of Gulf coast sites of the Olmec culture, to the west of the Yucatan, and other sites in Chiapas, to the south, have yielded traces around 1,000 years older. 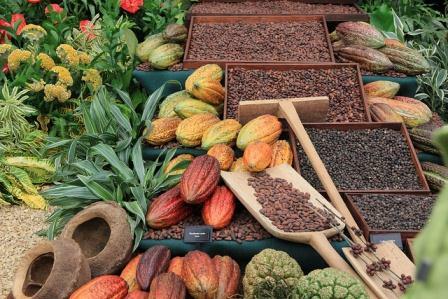 But it does extend the roots of Mexican cuisine, and the importance of chocolate, further back into the past. “This indicates that the pre-Hispanic Maya may have eaten foods with cacao sauce, similar to mole,” the anthropology institute said.